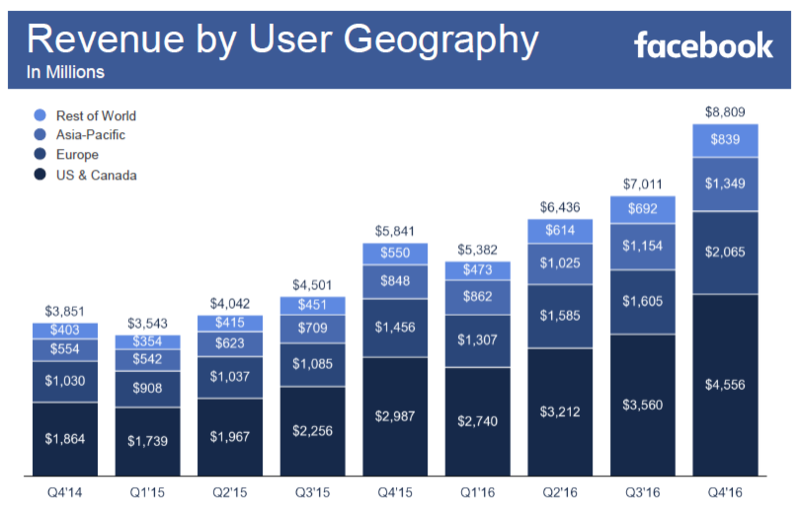 Facebook revenue totaled 8.809$ million in Q4 2016, compared to 5.841$ million in Q4 2015. US and Canada continue as the leader of Facebook revenue in all quarters. Facebook revenue in US and Canada reached 4.565$ million in Q4 2016, followed by Europe with 2.065$ million and then Asia-Pacific region with 1.349$ million.